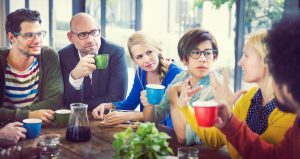 that our Marlton and Voorhees locations will be demonstrating some of the latest and most innovative advancements in the digital hearing healthcare industry. In fact, we will be one of the first practices to display this new technology in these areas. We are now offering groundbreaking products with BrainHearing™ technology. April 9 – 11. 9:00 am – 5:00 pm. Come in for a complete complimentary hearing assessment*, auditory canal evaluation, Oticon demo (where you can try the Oticon Opn™), and a FREE CLEAN AND CHECK for current hearing aid users. Opn is the first hearing device proven to make hearing speech, amid noise, easier on your brain. Turn up the volume on your life, not your TV. April 16 – 18. 9:00 am – 5:00 pm. Visit to experience our Oticon Open house + demo, featuring Opn™ hearing aids that utilize Bluetooth™ technology to help improve your hearing in noisy environments. Schedule an appointment today for a complimentary hearing assessment* and qualify to get a free pair of ear protection**. Up to date info can be found on our Tips and Sips page. *The purpose of this hearing assessment and/or demonstration is for hearing wellness to determine if the patient(s) may benefit from using hearing aids. Products demonstrated may differ from products sold. Test conclusion may not be a medical diagnosis. The use of any hearing aid may not fully restore normal hearing and does not prevent future hearing loss. Testing is to evaluate your hearing wellness, which may include selling and fitting hearing aids. Hearing instruments may not meet the needs of all hearing-impaired individuals. Offer not available to any consumer using an insurance benefit, a Managed Care, or Federal reimbursement (including third-party administered reimbursements). Offer cannot be combined with any of our promotional offers, coupons or discounts. Other terms may apply. See office for details. **After completing your hearing assessment and demonstration, you will receive a set of ear protection. One offer per household. 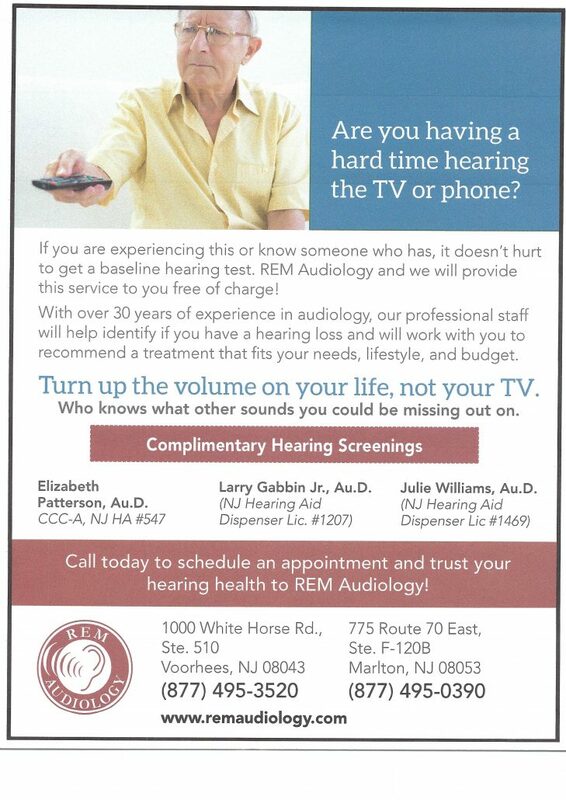 Offer is valid for new patients only and those who have not had a hearing assessment within the past 12 months. Information within this offer may vary or be subject to change. Offer expires 4/28/2019. Don’t forget to call ahead for appointments. Slots are limited.